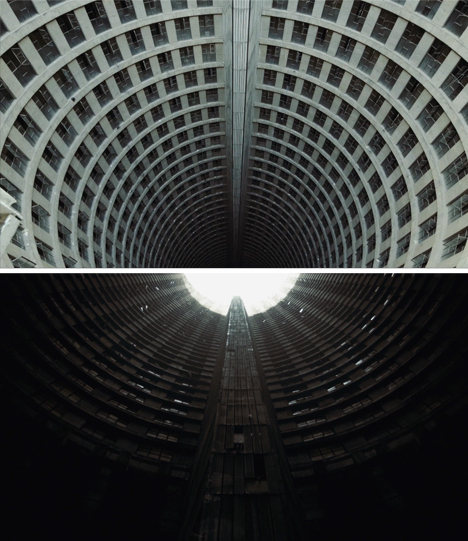 Before a long descent into darkness, the cylindrical Ponte City Apartments began life as a luxurious tribute to growth and wealth in Johannesburg , filled with envy-worthy units looking out in all directions. 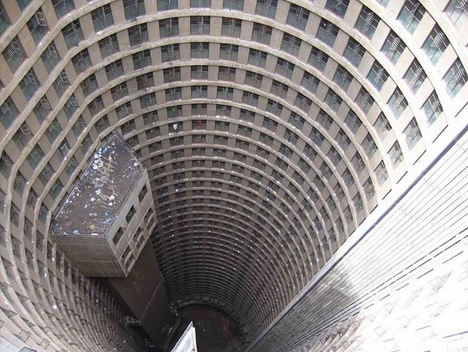 But after years of decline and false restarts, what direction is next for the highest residential skyscraper on the continent? 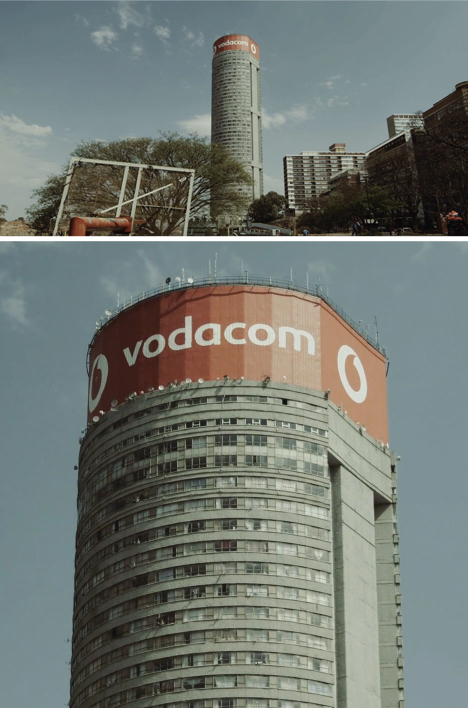 As remarked in the film above by Philip Bloom, the transformation of this iconic 54-story, mixed-use tower in South Africa has been astonishing. “It really was an icon of decadence … wealth and exuberance” with three-story units and Jacuzzi tubs – a “premier location in the city” for people “making a lot of cash.” As part of an exodus from the city center, rapid changes took place. 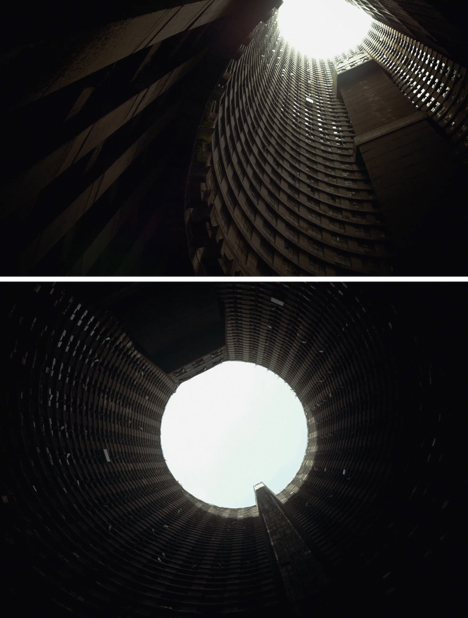 The center of the circular plan looked excellent in theory – a way for light to enter the back side of apartments looking into the core. There were even plans for an indoor ski slope to accompany the various shops and eateries on the lower levels. 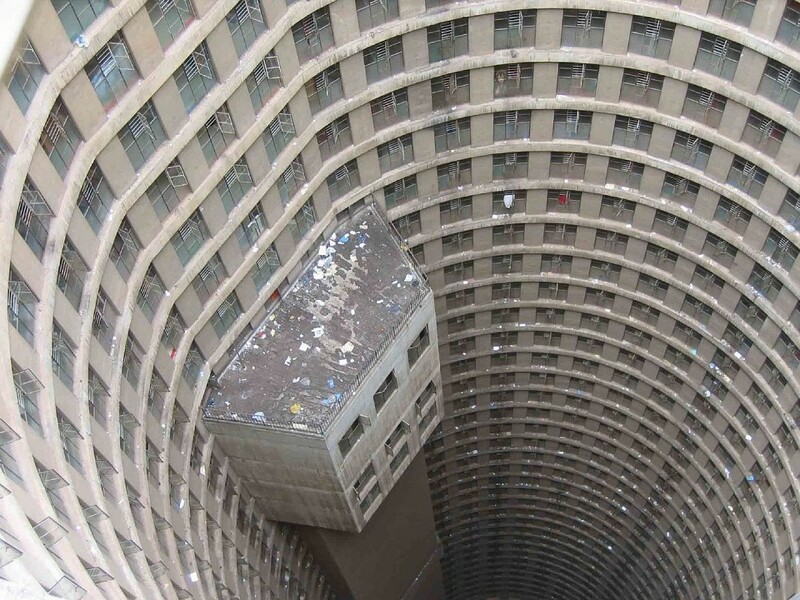 In practice, the lightwell slowly became a kind of black hole filled with three stories of detritus at the bottom and marked by unwashed walls all the way up. It also developed a reputation for defenestrations – accidents, suicides and otherwise. 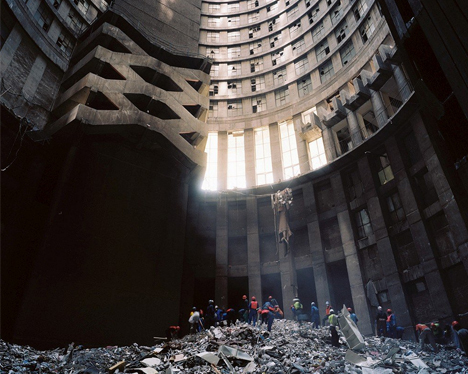 Investors just before the global financial crisis began to re-envision and rehabilitate the structure, but the renovations stopped as abruptly as the market crashed, leaving an ambiguous future for this iconic structure.